With the upcoming Wonder Woman to no doubt be a huge part of Warner Bros. Comic-Con panel tomorrow, the first poster for Gal Gadot’s solo outing as DC Comic’s premiere heroine is here, and it’s just wonderful. It’s a brilliantly simple teaser with one hell of a tagline, and again I can’t help but notice that the costume is a lot brighter this time round, further pointing to a 180 from the dour Batman v Superman for DC Extended universe going forward. 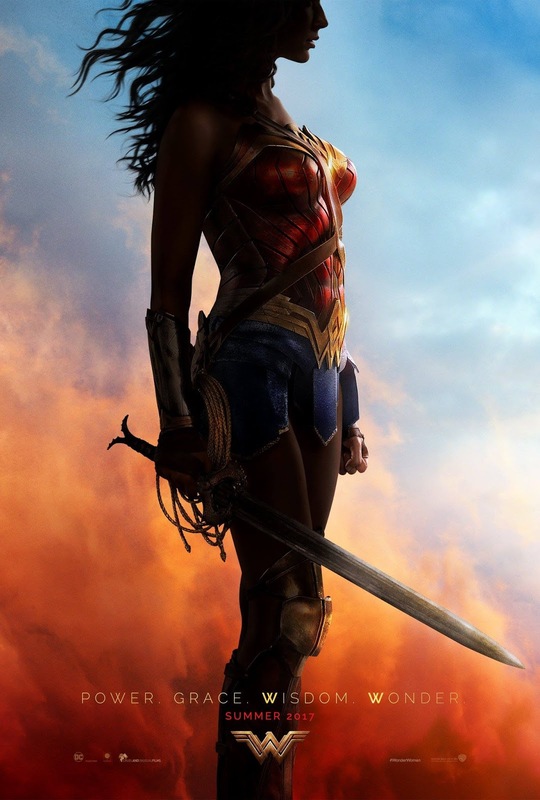 Synopsis: “Wonder Woman” hits movie theaters around the world next summer when Gal Gadot returns as the title character in the epic action adventure from director Patty Jenkins. Before she was Wonder Woman, she was Diana, princess of the Amazons, trained to be an unconquerable warrior. Raised on a sheltered island paradise, when an American pilot crashes on their shores and tells of a massive conflict raging in the outside world, Diana leaves her home, convinced she can stop the threat. Fighting alongside man in a war to end all wars, Diana will discover her full powers…and her true destiny.